Jehoshaphat sought to make a marriage alliance with the northern king, Ahab. Ahab wanted Jehoshaphat to bring his troops and fight against the Syrians at Ramoth-gilead. Jehoshaphat wanted to inquire of the Lord first. So Ahab gathered 400 prophets who predicted success. But one named Micaiah (who Ahab despised) predicted otherwise. He said that his vision saw the Lord with His hose asking how best to entice Ahab to Ramoth-gilead so that he would fall. And it was decided to place a lying spirit in the tongues of all of his prophets. The relating of this vision angered Ahab, and he had the prophet locked up. So Ahab and Jehoshaphat took their forces to Ramoth-gilead. 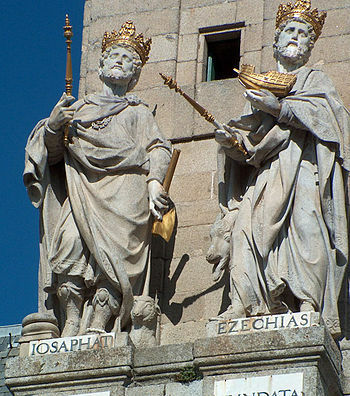 There, Ahab told Jehoshaphat to remained dressed in his kingly robes, while Ahab would change into a disguise.. Jehoshaphat mysteriously seems gullible in agreeing to this – or did he just have that much faith in God? The plan worked for Ahab, as the Syrians mistook Jehoshaphat for the northern king. But Jehoshaphat cried out to the Lord and he was protected. Ahab, however, was defeated and mortally wounded. He had his men take him out of the battle and they left him propped up in his chariot , facing the Syrians. He died that evening at sunset. Not many people know much about king Asa’s son Jehoshaphat, except that the name has been used in the phrase “Jumpin’ Jehoshaphat!” There is a lot of speculation about where that phrase came from, and if you query any search engine, you will come across some very entertaining attempts to explain it. None that I have seen seem very likely, though. It is just possible that it became popular because it is phonetically pleasing as a substitute for swearing. As king, Jehoshaphat worked hard to strengthen Judah against the northern kingdom. He set garrisons and occupied cities all over, including some that his father had captured. 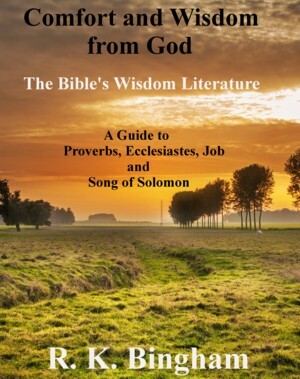 Unlike his father, the Lord was with him, the scripture tells us in verse 3, and did not “seek the Baals.” With God’s help, he grew strong in power and in riches. The Spirit of God visited Azariah the prophet so that he would go talk to the newest king, Asa. He told hi how that God would be with him as long as he was with God. But if he forsakes the Lord, God will forsake him. As soon as Asa heard this prophecy, he got rid of the idols from Judah and Benjamin, as well as from the cities that he had taken. And he gathered the people of Judah and Benjamin together and related these things, no doubt making clear to them that things would be different now concerning God. And many others who learned that the Lord was with him, came to live under his rule as well. Asa even removed his own mother, Maacah from being queen accuse she had made an idol to Ashera. He crushed and burned her idol as well. He did not take away the high places, however. But verse 17 says: “Nevertheless, the heart of Asa was wholly true all his days.” He showed God respect, and he brought sacred gifts into the House of God,. As a result of Asa’s actions, there was no more war until the 35th year of his reign. Having just assumed the throne in Chapter 13, Abijah is laid to rest at the start of chapter 14. It is longer, however, than the account of his reign in 1 Kings 15, which does at least note the war. His son, Asa, takes over; and the text tells us that the land had “rest” for ten years. One reason for that was undoubtedly because verse two says that he “did what was good and right in the eyes of the Lord his God.” He took away the foreign altars, got rid of the Asherim, and commanded Judah to keep God’s commandments. Asa built fortified cities and towers and walls, and also built up a strong army – 300, 000 might men of Judah and 280,000 from Benjamin. There was peace until Zerah the Ethiopian came up against him with a million men and 300 chariots. verse 9 says they came as far as Mareshah, which had been one of Rehoboam’s fortified cities. 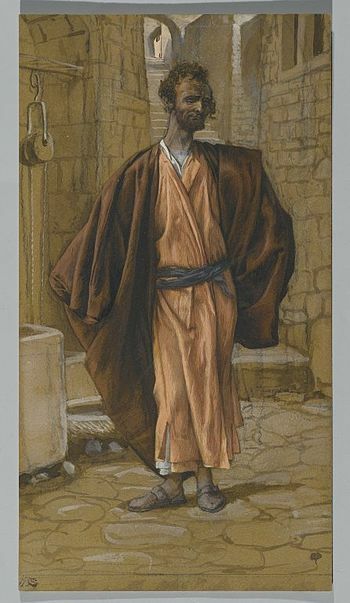 Asa went out to meet him and prayed to the Lord with both pleading and praise. So, verse 12 says, the Lord defeated Zerah and his forces. Asa and his men pursued those who fled, and none were left alive. 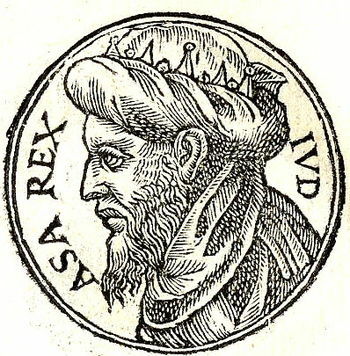 Asa and the men of Judah took much spoil, the text says, from both the Ethiopians and the cities they attacked near Gerar, before returning to Jerusalem. 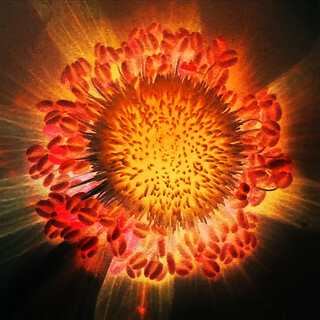 According to a Fox news article, “Americans put a big question mark on the concept” of the universe beginning with a “Big Bang.” This comes from an Associated Press-GfK poll. 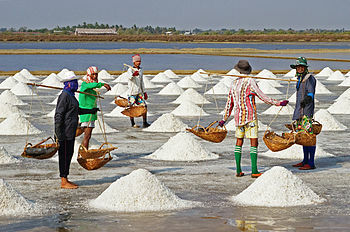 Of course, those scientists that take the theory of a Big Bang as fact, dismiss this out of hand. Those of us who believe in the bible as the inerrant word of God have to wonder and marvel at this. Last week, I was watching a re-run of the movie “Mission to Mars.” It had been so long, I did not remember how it turned out exactly. But at the end, they discovered that Mars had been inhabited millions of years ago (of course, everything has to involve millions of years, doesn’t it?) And now, because of some high-tech communication they had left behind for humans who would find it (a sort of 3D holographic movie), the secret of life was revealed. Millions of years ago, when their planet was dying, this super-advanced race had prepared to jet away to other worlds in spacecrafts. Not earth, the closest one, mind you. But some had chosen to send the building blocks of life to earth. We are shown that progression, as these building blocks (whatever they represented), went through the entire progression that evolutionists insist had happened over the course of — you guessed it — millions of years. And voila! Here man is today. It all makes sense now. It just amazes me that absolutely ANYTHING is more palatable to such unbelievers than belief in the true author of life, our heavenly Father. If we instead believe that a long dead race of ancient aliens created life out of practically nothing, then, of course, we are not accountable to anyone. We read the story of the destruction of Sodom and Gomorrah in Genesis 19, when God “rained on Sodom and Gomorrah sulfur and fire from the Lord out of heaven.” In verses 20-22, Lot requested to go to Zoar, calling it “a little one.” In fact, the city’s name was derived from that Hebrew word meaning “small.” The five cities that are referred to as the “cities of the plain” are Sodom, Gomorrah, Admah, Zeboim, and Bela (Bela being another name for Zoar). It has long been thought that these cities were located in the plain south of the Dead Sea. This region contains underground deposits of bitumen. Bitumen is a petroleum-based material that is highly concentrated with sulfur. The area was studied by geologist Frederick G. Clapp, who came there in the late 1920’s and early 1930’s. His findings led him to the theory that tremendous pressure from an earthquake could have forced bitumen out of the ground through a fault line that has been found to exist there. Any sort of spark, surface fire, or lightning could then have ignited the gas-filled mixture, which would then fall to the earth in burning masses that would indeed cause much destruction. In 1975, cuneiform clay tablets were found in Syria at Tell Mardikh (formerly ancient Ebla), one of which was a geographical atlas. In addition to confirming the location, at least two of the cities of the plain are mentioned by name in that atlas – Sodom and Admah. In the late 1970’s and early 1980’s, excavations in the area of the Dead Sea revealed much more. Though secular cynics are naturally not in full agreement with the analysis, archaeologist Dr. Bryant G. Wood and his party located city gates, and a cemetery-like building with structures that had all been burned and destroyed. 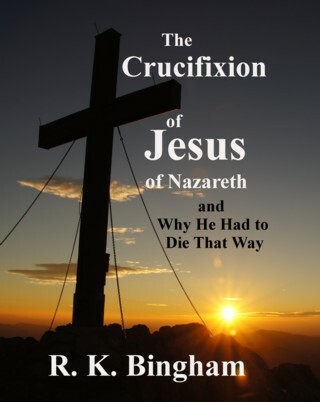 They found crushed graves, towers, a temple, the water supply, and thick city walls. Dr. Wood identified the remains as Sodom and Gomorrah. Geologist Dr. Steve Austin studied the geological evidence, including the fault zone, the burn layer, and the bitumen evidence, confirming Dr. Wood’s findings. Today, the names of the locations of the two main cities of the Bible are Bab edh-Dhra, which is believed to be Sodom, and Numeira, which is believed to be Gomorrah. For a much better account of these findings, please see these two articles at “Associates For Biblical Research”: “Sodom and Gomorrah: Is There Evidence for Their Destruction?” and “The Discovery of the Sin Cities of Sodom and Gomorrah“. It is official. We live in a world where “tolerance” for just about anything is heralded like it is the national motto. Almost everyone goes out of their way to be careful not to offend anyone about anything. That is, unless the group of people you are offending is Christians. Christians, it seems, are fair game for any sort of denigration, disrespect, ridicule – whatever suits you. 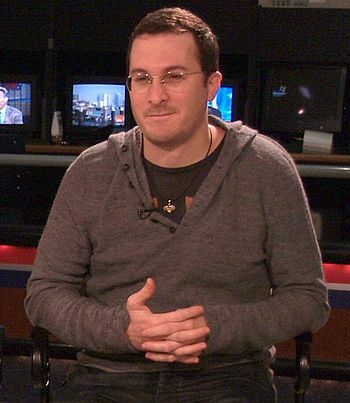 Darren Aronofsky (director and co-writer) and company are shamelessly making a fortune at the expense of the sensibilities of Christians of today, and of Christians of days gone by. If he had made a comedy about all of the Christians that were murdered and even made into human torches in the time of the great persecution of the first century, I suppose that would have been worse. But not by much. Never before can I remember being conscious of frowning so much during a movie. Never before can I remember becoming so angry at the makers of a film while watching it. I wanted to leave before it ended many times. But I forced myself to stay until the closing credits. I wanted to like this film – truly I did. From the day when I first saw the previews, I had high hopes that at last a film was being made that might do justice to the story of the second biggest event since creation. Don’t get me wrong, I knew that it probably wouldn’t be true to God’s word. But I was willing to overlook a lot of that in hopes of seeing something besides a small fishing boat with a giraffe’s head poking out of the top. What I got instead was about two hours of disregard for the truth, disrespect for God, and ridicule for believers of His word. It is unimaginable to me that Aronofsky’s intention was not to offend me, my brothers, and my sisters. In fairness, there are some things that they did get right, whether by accident or just for the sake of good film segments. I would give them a “B-” on the animals making their way to the ark. There were far too many that appeared to be the same “kind,” in my opinion. But their appearance and entrance to the ark was spectacular. I would give a “C+” also on the size of the ark. Estimates are from the measurements in the bible that it was equal in volume to about 520 railroad cars. This one seemed much smaller, but it was quite massive nonetheless. I would have to give them an “A” on many aspects of the flood, including an attempt at portraying the opening of the “fountains of the great deep” (Genesis 7:11). In fact, that was one of the things that had attracted me to the movie in the previews. And they get extra points for recognizing the flood as a global event (something that some of our own brethren cannot get right, believe it or not). I perhaps could have gotten past the Nephilim. There is so much misunderstanding of this term (largely because of the bad translation of the King James version) that I suppose getting that part right would have been too much to ask in any case. But these guys appeared to be the product of J.R.R. Tolkien. At several points, I really thought the Hobbits might make an appearance. 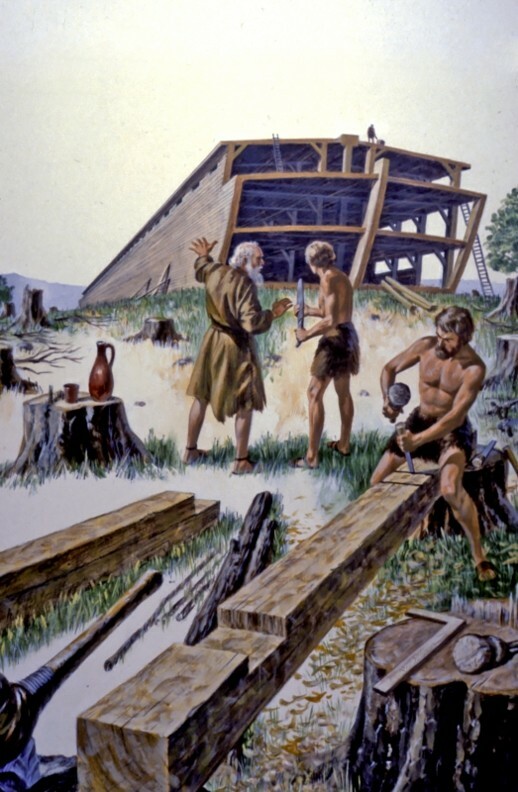 For 120 years, Noah built the great ark, as God had commanded. Noah was an example of obedience (Genesis 6:14-22). Unfortunately, those creatures are not the worst of the errors and distortions of this movie. “The Creator” uses the big bang to create everything, and man’s presence is explained with the unscriptural viewpoint that we know as “theistic evolution.” But is the movie “Noah” as bad on the level of distortion and blasphemy as “The DaVinci Code?” Absolutely. God (who is only referred to as “the Creator” throughout the film) is depicted as being cruel and viscous. And He doesn’t even give Noah the instructions he needs about what he is supposed to do or how he is supposed to do it. Instead, Noah has to rely on his grandfather (Methuselah), who is represented as some sort of sorcerer (as if God would allow a practice He condemns to be used in such a purpose). And incredibly, the serpent’s shed skin is kept by Adam and Eve, and handed down through the generations as some sort of magic juju that they use to “bless” their families. Noah is depicted as a murderous psychopath even at the beginning of the film, and it got worse (Genesis 6:9 says that “Noah was a righteous man, blameless in his generation. 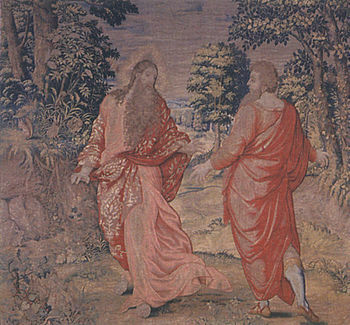 Noah walked with God“). And he purposely allows a girl who may have otherwise become his daughter-in-law to be brutally murdered. Noah himself comes very close to murdering his own infant grandchildren in their mother’s arms while on the ark. When he stops himself at the last minute, he declares that he has failed “the Creator” by not completing the task. You see, Noah had figured out that “the Creator” was destroying man because of what they had done to the earth (not because of sin), and that he intended for the innocents (the animals) to be the only ones to ultimately survive. He and his family were to die off without reproducing. 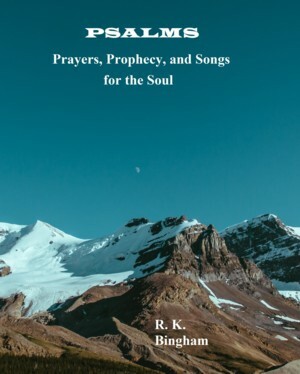 In the end, Noah decides to further “defy” the Creator, and it is his idea to tell his family to “be fruitful and replenish the earth.” The only time Noah prays is when he decides that he must murder his unborn grandchild if it is a girl. But who can blame him? Every time he looks up into the heavens asking “the Creator” what he is supposed to do, he gets no help at all. 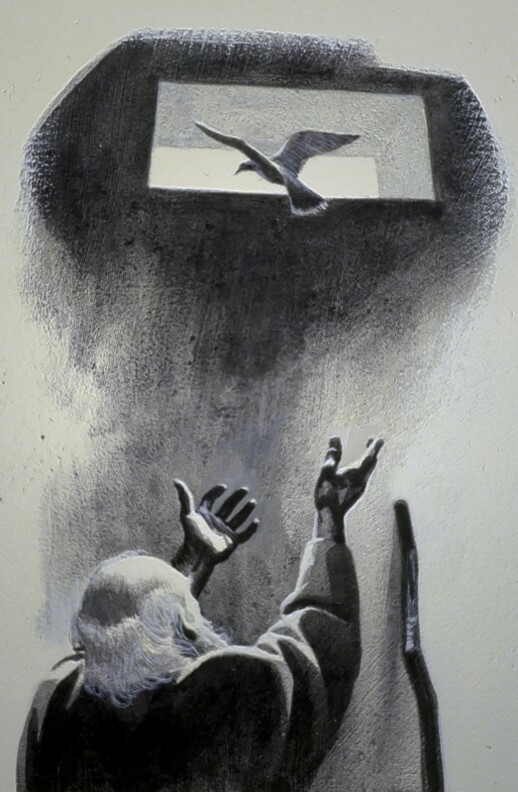 After the flood ended Noah sent out a raven, then a dove, to search for dry land (Genesis 8:6-12). There is much more that I could say about the distortion of scripture and the blasphemous nature of this film. In the end, one might say “what is the harm? It’s only a movie.” There is much harm. Anyone who does not know the truth, as well as those who have always thought of the Bible as a book of fairy tales, will from this Tolkien-esque abomination, see nothing but reinforcement of that opinion. Those Christians who themselves have never been taught the reality of the great flood will have every reason to have doubt cast on the scripture’s account, in light of this depiction. I am not advocating a boycott of the film. For one thing, as is the case with most boycotts, it would be ineffective. But should a Christian go ahead and see this movie simply for its entertainment value? I do not believe so, and must recommend against doing so. We are expected to be “a royal priesthood, an holy nation, a peculiar people” (1 Peter 2:9) – not conformed to this world (Romans 12:2). I cannot see any justification for throwing financial support for something that openly contradicts God’s word and even His righteousness itself. There are better ways to entertain one’s self. And as far as Noah is concerned, I recommend the book. It’s much better. I also recommend a secular book for anyone interested in some good analysis of the ark itself and the time Noah and his family spent with it – “Noah’s Ark: A Feasibility Study” by John Woodmorappe. We’ve written recently of some glaring examples of the secular world being so desperate to prove the Bible wrong that non-believing scholars often stick their feet in their mouths about the Bible’s historical accuracy. This post about the Hittites, and this one about the “camel fallacy” demonstrate this quite well. The March/April 2014 issue of Biblical Archaeology Review proclaimed that “Archaeology Confirms 50 Real People in the Bible.” This is fascinating reading, and it is especially satisfying that before the evidences were found, several of these real people were claimed by skeptics to have been merely mythological. One such person was King David himself. Now don’t get us wrong. The evidence for a Davidic empire is not so overwhelming that all skeptics concede the point (it is the opinion of this blogger that some of those could not ever be given enough evidence to do so). But if this evidence was related to a historical king that was not written about in the bible, we would wager that there would be no doubters. The issue is presupposition – pure and simple. Israeli archaeologist Avraham Biran began digging at Tel Dan in Israel in 1966. 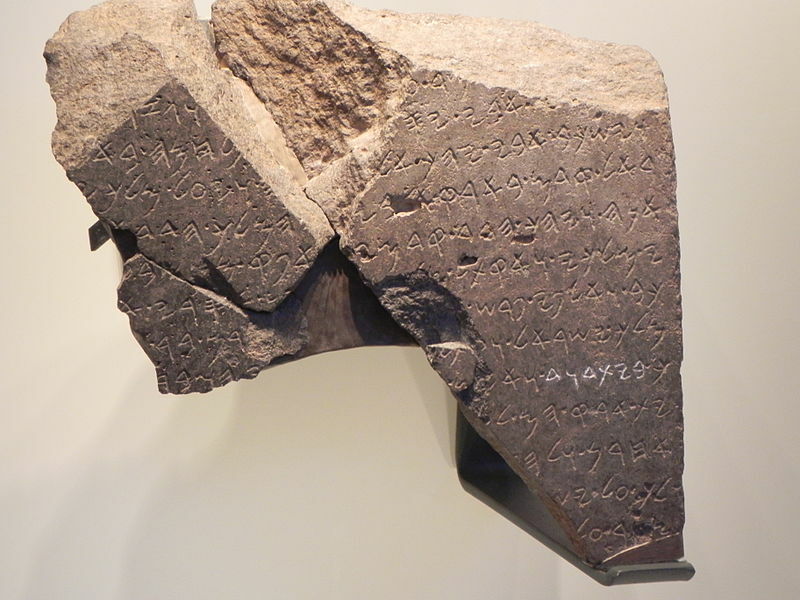 From 1993 – 1994, after nearly 30 years of excavations, his expedition uncovered a basalt (an igneous rock) stone with an inscription in Aramaic. It has been dated to about the mid-800’s B.C. The inscription described military victories by an Aramaean king (almost certainly Hazael of Damascus). In the inscription, the king bragged about killing the king of Israel (Joram) and the king of Judah (Ahaziah) in one of his campaigns. Later, once the occupying forces were finally defeated at Dan, they broke the stone up and used the pieces in construction of their city gate; and this is how the expedition found it in the dig. A huge significance of the find in this dig is that the inscription refers to the kingdom of Judah as the “House of David.” It is the earliest known reference to it outside the Bible. A few naysayers, of course, say that all it proves is that there was a tribe of Israel and that they had a leader named David at one time. But they come off like whiny children who just cannot stand not getting their way. It is highly unlikely that this Aramaean king would be so proud as to erect this monument to boast about defeating relatives of a small tribal sheep-herder. But there is more. 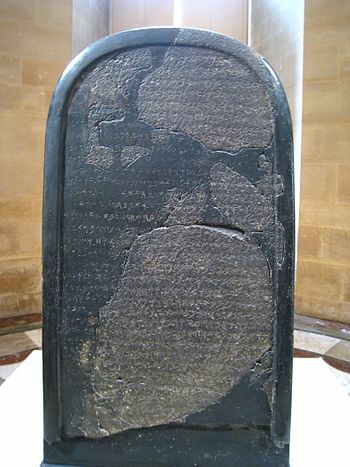 The Moabite Stone or “Mesha Stele,” first discovered in 1868 contains the words “House of David” in the Moabite language, meaning that he was the beginning ruler of the dynasty. It is a ninth century B.C. inscription that the Moabite king Mesha had erected as bragging rights for his victory over the king of Israel and his accompanying armies. Though his boasting differs greatly from what the Bible tells us in 2 Kings 3, it is nonetheless important for several reasons beyond the confirmation it gives us from the “house of David” reference. 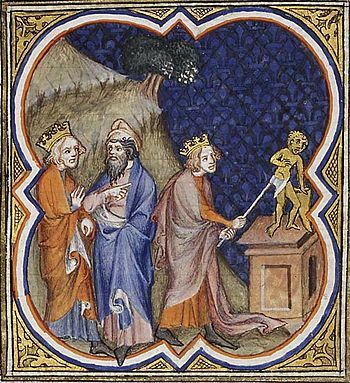 The Stele (now housed in the Louvre in France) also confirms by name two other kings written about by scripture (Mesha himself, and King Omri of Israel), the tribute extracted from the Moabites by Israel, and the tribe of Gad. It is also the oldest secular evidence we have of the Tetragrammaton YHWH (Yahweh) as the name that God revealed to Moses in Exodus 3:14. But it also was the best confirmation at the time of the existence of Moab itself – yet another factual place that skeptics had long doubted.